So this is my original setting, still very much in infancy. I request inputs and advice on the aspects of the setting, and how to proceed. Several hundred years into the future, Humanity has managed to Terraform Mars, and it was hailed as the Greatest Endeavor in Human History. The revived planet was renamed Nerio, after the lover of Mars, and was seen as new homeworld for Mankind, a place of the new beginning without the mistakes of the past. Then suddenly, everything came crashing down. A teleportation experiment, codenamed the Horizon, resulted in an unforeseen cataclysm. In a matter of a day, the Nerinese Humans lost practically everything that defined their life and world – advanced technology was stripped away from Humanity, and all attempts at reviving them failed. Contacts with the Earth and the rest of the Solar System was severed, and it remains so to the present day. This cataclysm would be called the Sorrow. The truth of the Sorrow is far more strange. The experiment tore a hole in reality, releasing otherworldly beings known as ‘Spirits’, for lack of better words; incorporeal beings from another plane of existence. While these beings are not malevolent by nature, their existence was inimical to advanced technology that the Humans were dependent on, and the Spirits themselves didn’t understand how vital technology is for the Humans. Unfortunately, no Humans back then were capable of perceiving or contacting the Spirits, and without their Human ‘anchors’, the Spirits are unable to offer any helps, thus neither the Humans nor the Spirits were unable to prevent the Sorrow. Despite the chaos and riots that defined the immediate aftermath of the Sorrow, true warfare didn’t break out until over several decades after the Sorrow, when the polities of Nerio finally recovered. But when it finally came, it was a brutal and devastating affair, with millions dying in the trench in the first mechanized warfare. In the midst of that horrible war, named the Great War afterward, a particularly virulent and deadly disease broke out, using the mass movement of men and materials to spread rapidly. None of the major nations were able to withstand the twin catastrophe of war and plague, and many broke down from the strain of war and plague, birthing many successor states and free cities in the process. The Plague: Called “The Reaping” by general populace, it was a variant strain of Yersinia Pestis, and reaped a horrifying toll on the peoples of Nerio, decimating all sides of the conflict in almost equal measures, with 10% of global population succumbing, especially on the front where sanitary condition was abysmal and medical treatments were lacking. The mortality rates among the soldiers reached up to 60% in some areas, and this effectively ended the Great War with no clear winners – with so many of their soldiers dead from the plague, the warring nations were robbed of the forces and ability to project it. The present day is an era of declining empires, feuding successor states, and struggling free cities. The rest of the planet is infested with bandits and warlords, who survives by plundering the badlands and preying on the civilized people. The rebuilding of trade routes opened a new road to prosperity for many polities, but also attracted attention from marauding bandits, who are becoming even more of a threat than usual. Meanwhile, many of the polities themselves face revolts and unrest from within, and crimes and corruptions are rampant. This is the world in age of fragmentation, the Twilight Age. The general technological level is comparable to that of the early 20th century, roughly around 1900s-10, but the circumstances that lead to the Sorrow prevent certain technologies, like computers, from advancing, while other technological fields, like medicines, benefit from the Humanity’s accumulated knowledge. The Algal Fuel: During the late stage of Terraforming, several strains of genetically modified algae were introduced on newly-formed northern and southern seas of Nerio. They were intended to boost atmospheric oxygen level, provide the nutrient base for the Humans and Nerio's burgeoning aquatic ecosystem, and to provide raw materials for chemical industries that were expected to prop up. Those plans obviously went to the grave with the Sorrow, but the algae are still there and thriving. They are extensively harvested by coastal powers, to be processed (albeit inefficiently compared to the pre-Sorrow era) into various useful forms, such as food, fertilizer, plastics, and most importantly, fuel. On the fuel-starved world of Nerio, with no naturally occurring coal or oil deposits, they are a very important resource – woods are too precious to burn, and water and windmills can only do so much. Firearms: The Nerinese civilization has rediscovered smokeless powder; some older guns and few modern weapons still use black powder. The firearms of the Nerinese civilization won’t be out of place in the Earth’s early 20th century, but self-loading rifles are more advanced than the comparable era, while fully automatic weapons are lagging behind. Airships: Heavier-than-air flight technology is still at infancy, and the Nerinese civilization lacks rail and road network built over many centuries, so long-range transportation is dominated by hydrogen airships. Most of them are capable of landing on the reasonably flat ground without using specialized docking towers and masts, alloying the airships to transport people and cargo to remote locations without such infrastructures. The Information Technology: If there is one field that is notably behind the others, it would be the information technology. The constant magical interference prevents the information technology from advancing beyond a certain point, and so far, no reliable way to bypass this has been found. Unable to access the hyper-advanced pre-Sorrow computers, the Nerinese civilization was forced to develop basic mechanical calculators. Primitive and stagnant, it is unlikely that these 'computers' would ever match the capabilities of our modern computers, much less their pre-Sorrow counterparts, unless some breakthroughs in warding out magical interference are made. Also, long-range communications are highly unreliable and reliant on telegraph networks as radio technology is known but not used due to it’s susceptibility to magical interference. Discounting the non-corporeal Spirits, Humans are the only known sapient species on Nerio, regardless of some wild rumors. Human genetic engineering was widespread before The Sorrow and even modern Humans still carry many of upgrades and trickled-down legacies of that era, resulting in healthier and longer-lived population despite their technological limitations, as well as some other perks. Many animals have also been the subject of genetic modifications, both to adapt them to the environment of Nerio and to Uplift them. The latter, although failed to produce Human-like intelligence, still left the animals of Nerio with some interesting legacies and useful traits. Despite being turned into a 'second Earth', complete with thicker atmosphere, northern ocean and smaller bodies of water, and a greenery over once red landscape, the Nerinese ecosystem are still very distinct from that of Earth. Low gravity encourages gigantism among lifeforms, while the selective imports and gene-crafting during the Terraforming created an unusual ecosystem and biome not found on anywhere on Earth. For example, no dangerous predators were imported from Earth, save the feral dogs (although they can get quite big and cunning thanks to past genetic engineering), and gene-crafted traits are present on almost every lifeform on the planet. There have been many achievements. New religions, ideologies, concepts, and conventions have risen up, questioning the old system of beliefs, challenging them, and even replacing them. Magery is one of this development. The first Mages appeared after the generation that saw the Sorrow died out. At first, they were treated with some apprehension, as the awakening of Magery was often mistaken as an onset of madness, and few people believed in supernatural back then. But the Mages persisted, slowly developing their craft of contacting Spirits and drawing a power from them for over a century. Eventually, they were recognized as what they are after several generations, the memories and skepticism of the old world faded away, and now Magery is an important aspect in many Nerinese societies. Mysticism, a discipline focused on communication with Spirit and obtaining the information. Viewing distance places, hearing distant words, calling upon knowledge all fall into mysticism. In a way, it is both easiest and hardest discipline to perform. Easy in the way that Mages, attuned to the spirit world, are flooded by information a normal human can't perceive almost constantly, and Spirits itself are almost always willing to communicate. Hard in a way that finding any useful information in the constant clutter and hum is a true challenge, and obtaining the direct answer is often costly, and there is always a danger of 'going too deep' as there is simply a limit to what a Mage's human brain can process. Warding is focused around shielding the particular area, item or person from the magical influence, often temporarily, although a permanent shielding can be made with great effort and often at great cost, and even then it requires careful maintenance and periodic reconstitution. Markings usually have to be engraved around the object to mark the area of effect. This skill is in high demand and any Mage that is bound to receive the official education is pressed into learning this discipline, not everyone is able to master it. Projection can produce light, force, electricity, set flammable materials of fire etc. is a common power Mage gain through the first contract with almost any random Spirit, often as a mean to harm the Mage's enemies, mostly in form of random raging uncorrected force, yet any meaningful application of the power is often a years and years of training away and true mastery doesn't come easy. Enhancement is a subset of warding, and the newest discipline to be developed, only appearing just after the Great War. With it, Mage can enhance the function of the item, even imbuing it with a degree of automation, but said item need to be technically sound and working, and like warding, the effect is often temporary. Mages also found out that they could enhance the living being's natural healing process, assisting the first aid and long-term recovery. All these make the Nerinese Civilization as walking on the thin edge between greatness and ruination. The 'present day', 80 Nerinese years after the Sorrow and 10 years after the Great War, is a time of great change, crisis, and dissolute decadence, but it is also a time of new possibilities and potential rebirth. Whether they would endure and blossom into the dawn of New Renaissance, or fall back into the long night of barbarism again, is not determined yet. Emberverse series by S. M. Stirling. The Darian calendar - Wikipedia article. What happened to earth and other colonies? Well, that's what I am wondering how to deal with. In my current draft, they were simply destroyed (colonies) or went back into a stone age (Earth). If I reincorporate magic/psychic power back to my setting, then their fate remains a mystery due to the magic-induced isolation of Nerio/Mars. Leave the fate of the rest of the worlds as a mystery so you can have characters suffer disappointment in a twist reveal. Magic sounds cool. Maybe magic/psychic powers is the result of peak human acheivment pre-sorrow. Humanity learned to bend the cosmos to their will, and it seemed ascension was near. Aaand Sorrow. But magic/psychic powers were incorprated into the gene pool, and it resurfaced later. Well, I considered but decided against it. Earth is explicitly toast, ravaged by rampant magical spirits possessing the automated war machines of Humanity. To hone your magical power is to immerse your mind into a world of Spirits, whose power allows the casters to realize the magical effect. To draw greater magical power, they must go deeper, with their mind and personality being locked into the certain patterns that create a brighter 'imprints' that draws Spirits to them like a beacon. Eventually, the magic becomes part of the Mage as if it always was, but they are forever changed by the experience. To use magic, the Mages must meditate, which allows them to enter trance or semi-trance state. All magical works are carried out in subconsciousness, with some casters living almost entirety of their life daydreaming and sleep-walking. P.S: Also, you people are already far more helpful than SV, where only one person ever showed interest in this. Many thanks. Interesting. But I have made up my mind. Earth isn't going to be that important in my setting anyway. If she ever appears, I want to flip the Burroughs-Bradbury depiction of Earth and Mars and make Earth the old place full of ruins and declining, decadent Earthling. - The general technological level is roughly comparable to that of the first decade of the 20th century, although there are several outliers. - Due to their reliance on ubiquitous computing and heavy integration of electronics, remaining pre-Sorrow technological items are entirely non-functional, nothing more than cultural artifacts and family heirlooms. - The Nerinese civilization has rediscovered smokeless powder, although some older guns and few modern weapons still use black powder. - Guns range from single-shot breechloading rifles (popular with civilian hunters and 2nd-line troops) to repeating rifles (main arms of regular troops) and self-loading rifles (the pinnacle of the Nerinese gunmaking). Fully automatic guns are rare, mostly experimental or not man-portable. - Machine guns are large, almost cannon-like contraptions with liquid cooling system and often carried on the same carriage as cannons. - Armored vehicles exist, ranging from lightweight scouting vehicles to fairly respectably armed and armored fighting vehicles. The threats of armored vehicles led to the development of man-portable countermeasures – loud, clumsy, and not very safe instruments, but useful in their roles. - Body armors, beyond some parade or ceremonial garbs, are not widespread in the Nerinese military; as shown repeatedly in history, armor is struggling to catch up advancing weapon technology. Still, they are seeing some uses outside of the regular military. - Melee weapons remain very low-key, often only used as part of dress uniforms. - Long-range communications are highly unreliable and reliant on telegraph networks. Radio technology is known but not used due to it’s susceptibility to constant magical interference. - Military forces use couriers and heliographs for short-range communications. - Unable to access the hyper-advanced pre-Sorrow computers, the Nerinese civilization was forced to develop basic mechanical calculators. Primitive and stagnant, it is unlikely that these 'computers' would ever match the capabilities of our modern computers, much less their pre-Sorrow counterparts. - Algal biodiesel is the primary fuel of the Nerinese civilization. As most of the fuel comes from the northern ocean of Nerio, industrialization on southern hemisphere is hampered compared to the north. - The algae used in fuel production are just one of the strains introduced before the Sorrow. There are other strains optimized for industrial uses and food production. - Wind and watermills are primary means for energy collection outside of algal fuel. Many ships have sails that also works as a windmill. - Heavier-than-air flight technology is still at infancy, so air transports are dominated by hydrogen airships. Many are capable of landing without a specialized docking tower, making them useful in carrying cargoes and passengers to remote locations. - Lacking centuries of build-ups and investments, rails and roads outside of cities are short, linking important resources and industrial centers but not much more than that. - The seas of Nerio freezes over during the winter, necessitating the use of big, tough icebreakers for sea travel. Most ships have prow rams to counter floating ices. Above suggests that society is not only pre-spaceflight, it is also unable to reach one as computer are pretty much cursed, so state of Earth, let alone other colonies can't be brought up in the story. Also, telecommunications seems completely absent, so it is impossible to catch the signal from other colonies even if there is such a signal. Also, no reason that weapons would be muskets, we had repeating rifles before electrification. And most importantly, what is actually the story, a plot, who it follows and what is it suppose to be about? Yes and no. Computers are currently cursed now, but as I noted, it might change. Probably not in the main story, though. Also, telecommunications seems completely absent, so it is impossible to catch the signal from other colonies even if there is such a signal. You are correct. That part about magic messing with electronics? Radio is an electronic device too. Short-distance communications are okay-ish, however. *Shrug* I just like single-shot rifles, particularly a Springfield-style trapdoor breechloading rifle. That's all. Also, repeating rifle exists in form of lever-action rifles. In-universe, it's because industrialization didn't catch up with technological (re)discoveries, and thus most weapons are made by hands in cottage industries. Yeah, that's something I have a trouble with. This started out as a war story quest material, then I got ambitious and decided to make my own setting so I could do more than quest. It would be primarily about wars and conflicts, but I want to write more than those. As I said, this is still in infancy. What are the rules about possession by spirit? Can't spirit posses the radio? And unless magic present involved matter manipulation on insane level, you can't skip technological requirements by magitek. It seems you are entirely following aesthetics over everything else. Which is bad, especially for non-visual medium, unless you are going to draw the comics, make a movie etc. you probably need to think more about what you present to the readers. You are right. I need to think more and in-depth. That's where a thread like this comes in handy since I could receive warnings and consultation from more experienced people like you. I will give answers to your other comments later when I find plausible explanations. Think Star Wars. Movies from the 80's. Everything in there was a subject of visual representation first, explanation second, and it worked fine because it was a movie. But books had to think about everything in little bit more detail. Agreed. But for now, I need to sleep. Oh, and thank you for your honest warning. - Red Nerio, or Marsland and Nerio Rubra, is the biome most similar to the pre-Terraforming. Now found only on the Tharsis Highlands where low atmospheric pressure and high radiations make it impossible for post-Terraforming lifeforms to survive. It is populated by 'first wave' Terraforming organisms, nothing more advanced than algae and lichens. - Purple Nerio is the seas of Nerio. The thriving algae give the water wine-dark colorings, hence the name. It is populated, most notably, by industrial algae, planktons, non-migratory fish colonies, kelps, and pinnipeds. - Green Nerio is the rest of the world. Although not all of them are green or bountiful, it is where Humans and modified Terran lifeforms can live without technological aids. Yeah, I think I wrote myself into a corner. I thought that was a clever idea, but I didn't think about actual details and rules. I am thinking about making mages able to control/suppress the spirit possessing the electronics, thus establishing the way to bypass that and the reason why the mages are important. Also, that bit about mages draining electricity was definitely a mistake because that would force the Nerinese to remain at pre-industrial. I'll drop it. Yes, you are right. From what I can see, industrialization would start, and mostly concentrate on the northern coastlines and Hellas basin because of the regular availability of algal fuel. Magitek is a baby step at the moment, so no handwavium. Although matter manipulation is an interesting idea. What you think of is warding. It is usually passive magic. It's up to you whether you want to have electronics at all, but keep in mind, without electronics, communication will be handled by messengers (on horseback, if horses are present, alternatively any fantasy animal that replace horse). Also, if there is no coal, they will be forced to used aforementioned algae biofuel, and that's something very different that steam engine. It's biodiesel. It's completely plausible, especially if there is tons of algae used in its production, but it requires completely different level of technology. Aesthetically and thematically, it would be more of the dieselpunk. However, if you introduce matter manipulation on any meaningful level, you will make readers wonder why they have conflict at all. You know, infinite matter, and with it, infinite energy... perhaps some rules akin to Full Metal Alchemist setting where transmutation actually have some rules. Also, think about the story. Is it suppose to be about politics? About hero journey? Adventure? What would be the plot and the story. Thank you! I completely forgot about warding and exorcism! That'll give the mages an essential role in the society. That said, I'd still like to keep electronics at the minimum (telegraph and radio are probably the pinnacle of available electronics) due to technological (and aesthetic) reasons. And yes, there are horses (and camels, donkeys, elephant-sized muskox, etc). Is it possible to keep mid-19th-century technological aesthetic and theme while using biodiesel? Yes, that would be a correct way to approach. I'll think of something. Two things I can immediately think of is making magical works very taxing for the human body - the grander or more precise it is, the harder the body takes, and magic requiring knowing exactly what you are doing, thus requiring extensive studying before actually casting the spell. Currently, nothing I can think of. I'd like to have a more grounded worldbuilding foundation before starting with the story. Chocolate, coffee, and tea: Unfortunately for Nerinese Humans, their planetary environments means they are missing some key aspects of modern cuisine, chiefs among them are the aforementioned 3. Chocolate is right out. I couldn't find any suitable substitute for it. Same with tea. Coffee can be substituted by chicory and grain, although they won't provide the same stimulating effect as real coffee. At least they still have sugar from sugar beets. The lack of moonlight: Even if they are still there, Phobos and Deimos are too small and fast to provide sufficient lights, so the nighttime would be very dark outside of settled places. 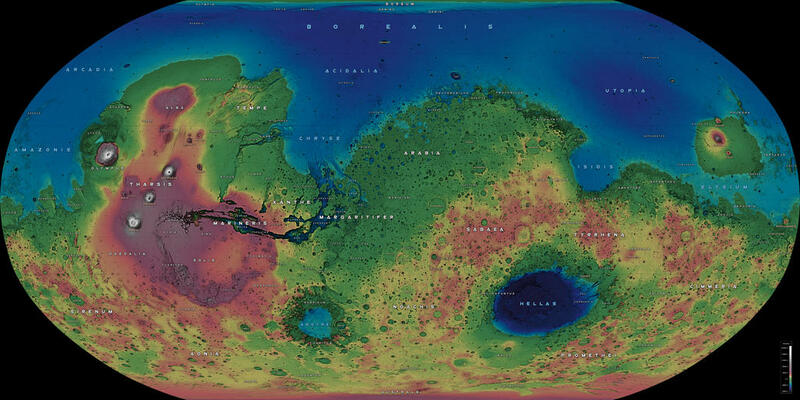 Latin and the Dog-Latins: Much of the geographical location on Mars are already named in Latin, and I can see the convention continuing. However, since not everyone has proper knowledge of Latin, and the inevitable decline in knowledge of pre-Sorrow world, I think many vaguely Latin-sounding, but completely wrong words would be thrown around. Unless you are making comics or illustration, aesthetic doesn't matter that much, but considering the technology level I think they would not imagine later periods than Victorian era, as far as look goes. Also, you can't (or shouldn't) use words like steampunk in the story, because character probably doesn't know the word. Dieselpunk, as a genre, is usually defined by strong use of technology, but also the conflict vs the undefeatable like society, nature, cosmic. For setting, vastness is usually the key. Dieselpunk loves Zeppellins more than steampunk, actually. And your setting is vast ... keep in mind, information traveled slowly in old days, and you obviously want to explore the vast world you are so busy writing the lore for. Also, think how character (usually the protagonist) can explore the rich world you want to build. Telegraph is not complex, and it has been used before electrification. It should fit thematically. Otherwise, perhaps messengers either on horseback or using motorcycles. Doing so wasn't unusual even in WW1 era. As a rule of thumb, magic can't solve the main conflict of the setting (usually the resources). If magic can solve the material problems, use it this way, because people will inevitably use anything that is effective and works. Have you thought about the story yet? You would still need a captivating story in order to introduce the setting. Well, steampunk-ish only regarding technology. I doubt my setting embrace much of Victorian era beliefs (or scientific optimism), other than fin de siècle sentiments. The definition of Dieselpunk does seem to be more fitting to my worldbuilding, even if it is based on early-to-mid 20th century instead of the 19th century I have in mind. How to explore the setting... do you mean how to move around? Explore, like reveal all the information about the setting through the story, rather than info dump. Yes, you may aim to create a shared setting and have other writers to use it, but it needs a story to catch the interest. In best case scenario, you need protagonist that don't know much of the world (so we have plausible excuse why everything is explained to him by someone else). You also need story that have excuse to actually travel the large portion of the world. Good excuse is protagonist whose job involve a lot of travelling, and we get to see the large portion of the world by following the story of main character. You are right. I need to write stories since most of the obvious flaws in fluffs have been pointed out and fixed. This is going to be rather hard, unfortunately. I think I am going to write short stories for each of characters and each aspect of the world that together weaves into a larger, coherent story/background material. Still going to post miscellaneous stuff and questions here, though. P.S: That said, from my experience in AH.com, infodump-style can be pretty successful at arousing interests in the setting too. Hmm, would the war story and mercenary protagonist(s) be a good starting point for meeting those requirements? This was started out inspired by Baen military novels and Valkyria Chronicles, after all. Perhaps, what would you say about having airship captain as a character? From what I understand about the setting, it would be the most advanced and far reaching method of travel. If you want a character that starts low in rank, perhaps someone who strive to become one? Should be prestigious position, as far as ambition goes. By the way, Zeppellins aren't that vulnerable, even when using hydrogen. Hindenburg was a result of unfortunate circumstances (and I think it is roughly technological level setting aims for), they don't go down in flames at slightest provocation. Bullets and shells, even incendiary ones, will go right through, fighter planes had to concentrate on one spot to make it effective. Have an idea: How about a small dirigible captain conscripted into a military, to serve as a bomber, an aerial scout, and transport? The ship (boat?) would be an airship equivalent of Illya Muromets, carrying two dozens of passengers maximum or equivalent tonnage of mail, now converted to carry bombs and observatory crews. Could be interesting to see how he deals with suddenly being placed under a military order and having to bomb people when he would rather carry mails and passengers around, and with his beloved ship increasingly becoming an efficient tool of destruction. That said, I want to update the introduction to the setting with the latest materials first before writing a story in it.